Matzel Toff! 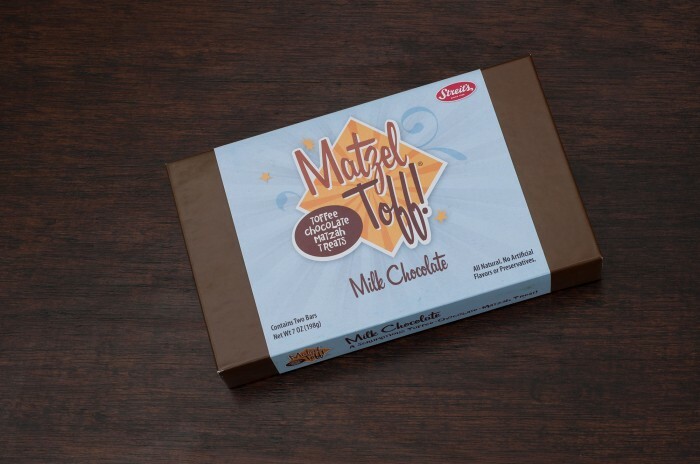 is a tasty chocolate-toffee-covered matzah treat by New York City based company Urban Nosh. 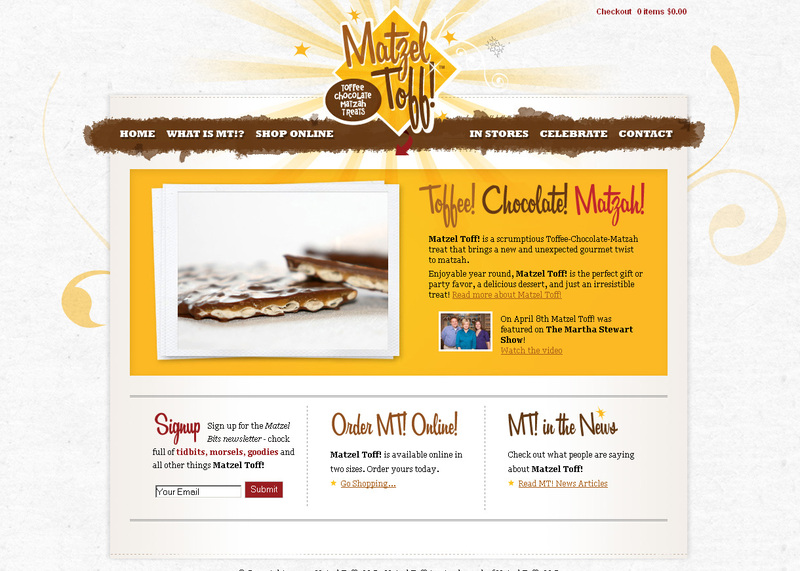 The clients desire was to not only attract a Jewish clientele, but also a broad audience with a hip-urban-retro theme. nuSpace Media designed everything from their brand and website to packaging, business cards, and marketing materials. One of the websites purposes and features was an online store to allow a broader audience to be reached outside of the store businesses.